Fish Alaska Charters is your premier Alaskan fishing expedition provider. Based out of the small, remote "city" of Gustavus, Alaska, we are extremely fortunate to fish in a low pressure environment. Low fishing pressure and ideal habitat means that we grow our barn door halibut BIG. So, if you want your best shot at a 200, 300, or even 400+ pound fish of a lifetime, give us a try! The all-tackle world record is currently 459 lbs, we plan on changing that! Although Gustavus and Glacier Bay are known for their gigantic halibut, we also have access to a world class salmon fishery on the outer coast. When the kings run, limits are quick and easy, many times leaving enough time to catch ling cod, rockfish, and halibut on the way home. That is an action packed day of fishing! Our 30' custom built aluminum vessel is equipped with quiet and reliable Yamaha four stroke power, getting you to the fishing grounds fast (cruise speed 27 kts) and in heated cabin comfort. Our fish box is huge, and we need all the space we can get! She is also equipped with state of the art Furuno electronics, complete U.S. Coast Guard safety gear, and a marine head (bathroom). She also features electric downriggers and a multitude of rod holders to stow our gear conveniently and out of the way. This boat is built specifially for fishing Alaska, there are no compromises on this fishing machine! Our gear is all top of the line. Our rod selection for the 2010 season is Seeker rods. After speaking with all the top manufacturers we decided that Seeker rods construction is second to none, and that they meet our specific needs. We carry tough as nails Alaskan Series stand up rods to provide the backbone needed to defeat barn door halibut, a handful of black steel series rods for our medium heavy work (ling cod, rockfish, and playing halibut on light tackle). Our salmon rods are very sensitive glass blanks made specifically for downrigger fishing king and silver salmon. We have not made our decision on the reel line up for 2010 just yet. Althgough I believe it is down to Penn, Shimano, and Avet. Rest assured it will be of the highest quality! So, you want a GIANT HALIBUT but don't want to fish in rough water??? We got that! One of the nicest things about Gustavus / Glacier Bay fishing is that the majority of our halibut fishing is done along the calm waters of the Inside Passage. When you book a trip here, there is a 99.9% chance it will happen - I haven't cancelled a trip in over 3 years. Most of the time our halibut waters are calm. Although we do get some windy days mixed in, the vast majority of our fishing time is very pleasant without big ocean swells rocking you to death! So, if your trip was cancelled due to weather somewhere else, or it was just too rough for you, consider fishing with us - you will be much more comfortable! After all, fishing is supposed to be fun! Fish Alaska Charters is pleased to offer half day, full day, charter and sightseeing trips, as well as multi-day all inclusive packages so all you have to do is show up ready to fish! We will go out of our way to find the perfect fishing vacation for you. Please feel free to contact us with any special requests, we will do our best to make it happen! Is this a new sponsor of the site? Can you talk them out of any pics of their boat? Also, while you are sweet talking them, get me some coordinates of their top spots for the next time I am bringing a boat up. Rob at FAC , is a good guy to have around . I am just trying to help him out . He fishes out of AK. for 100 days and is down in LA. the rest of the time running his other boat , the man is a fishing maniac . This took me a figure this out, but something seemed out of place when I started thinking of Lester as a Los Angeles guy. The harder you work the "luckier" you are!!! I hate to tell ya but I was born and raised in SoCal , I moved to Texas in '94. Sounds like Big W is warm and fuzzy, because he may need a ""ride"" in Alaska or down in Venice some day. I'd be a fish maniac too....if there was fish to catch and at least limits worth making people want to go fishing. I loose at least a 3rd of the charter calls when people ask what and how many "could" we catch. I have to say to them I don't make the rules. And the FWC and Atlantic council, is taking away our tiny limits of fish we actually get day by day. 10 trout and 2 redfish per a fisherman would be like a gold rush here. Then, I think back again to La. where they just don't know how lucky they are. Too bad it's hurricane ally, or it would be paradise. Like Alaska? Ask him if he's a Venice area native. Because everyone who I talk to in Plaquemines Parish down that way says to me...."Dave, I wouldn't bother. There so many fishing guides already." And yeah, I count 24 in little ole Grand Isle La. just in La. Sportsman magazine, who are listed. And that's Grand Isle, only. Just watched a PBS show about immigrants to the USA, and Japanese Americans who had relatives in internment camps as they fought in WWII...as Japanese Americans. And we think we have it hard......so why can't I move? Because I don't want to loose all I have, maybe. And that ain't all that much. Just a boat, my house, and a beat up F-250. But it's mine. How do people do it. Sell the house , Load your stuff in your truck, Hook your boat up , Leave. Oh yeah, when you get there be sure to call Mom and Dad to give them your new phone number . I pay Verizon big $$ for a cell phone.......no new number needed. But then again, that would get rid of the creditor calls, huh? Capt. PJ do we know each other? Good chance, I was there working in 2007 as well and I know the Seawolf. My friend Pat D had to drive it a while when they found out they needed a 200 ton capt due to the age of the boat (there was a change in the way gross tonnage was calculated since it was built). He firewalled that thing to narrowly miss the seawall in Bartlett Cove, the lady owner about crapped her pants and told him to take it easy on the old girl. I would like to see that engine . . . it's still the original engine isn't it! In 2008 Capt. Andy's wife was running it ( can't remember her name) and last year 2009 Keith J. was working on it, but I'm not sure he was captain. You ought to recognize my boat it was anchored up in Bartlett Cove in May and September . . . and unloading the big ones back at the dock . . . and being harrased by Nat'l Park Service (they're out to get me!!!) . .. haha. That year there was an engineer with kind of bushy black hair always wore coveralls, he was a cool dude too. Can't remember his name though . . .
Capt. Rob, Went to your site and the boat image is small, but I'd think I have seen her before. We came in on a Sat and picked new pax on Sunday morning at the Park float. She does have the same engine but rebuilt many times. She is an old girl for sure and blows black smoke when she is wide open at 400 revs. I can see how missing something is an issue as she is slow to react. I got pretty good at anticipating her. I liked running her but the Owner is a handful for sure and that was a bit of a challenge to be a Captain and having her as crew as well. She has her way of doing things and I mine...MINE always obeyed by the crew, but it led to strife. I was glad to be gone after 7 weeks. Interesting about the tonnage, as I questioned it at the time I was Captain. I had 3 engineers in the 7 weeks...one was a charter captain that worked one of the lodges out of Elfin Cove as the fishing was slow and the ownwer placed heim with us. Another was a really experience commercial fishing boat Engineer and Captain, he was good to work with and understood the chain of command. His suggestions were always welcome and usually correct for what we were trying to do. The other was just a fill in body that could start the old girl and change oil and fix toilets...and that was a great plus in my book. Now back to us...I suspect that we talked on the radio from time to time, once the NPS accused me of beig to close to shore and then not approachning shore at 90 degrees...GHeez! I told them that I would save my track line on the GPS Nobeltec and when I was back on Sat they can come over and look at it...I was clearly off shore 1.1 miles...even had my safe circle on so it was readily apparent. they never bothered to challenge me again and were very pleasant from then on. You must have heard the conversation as you called me and said something to twist the NPS nose a bit. Also I think once there was a big white expidition class yacht in the over 175 range towing a 30' skiff and you called to remind them of the Rules of the Road...I think they became the giveway vessel and they just kept charging along and you had to take aviodance action...you werre not the most pleasant fellow to talk to in that situation when you communicated with the yacht. Fished Gustavus and Glacier Bay in 2007 6 days (5 fishing) with another outfit. Won't mention their name (with due respect). Beautiful place,great fishing, and nice people. Halibut fishing was awesome with limits coming easily. Not much Salmon while we were there, but that didn't trouble me that much, because we were there for big Flatties. My biggest was just over a hundred. 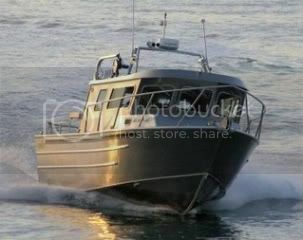 We fished on an aluminum Maxweld 1 hull with twin outboards. Good boat and skipper. Nighthawk, yeah I know who that was . . . good friend of mine. Glad you had a good time, come on back sometime and give me a holler when you're up there. Capt PJ I posted a reply on here but it didn't work. That was not me you're talking about . . . but nonetheless it's such a small town I bet we would recognize one another at the very least. Nighthawk what dates were you there in 2007? That was a good salmon year . . . but you had to go to the ocean most of the time to get them (esp. kings). rbhankins001 wrote: Nighthawk, yeah I know who that was . . . good friend of mine. Glad you had a good time, come on back sometime and give me a holler when you're up there. I usually spend a couple weeks in LA (Plaquemine-Bayou Pigeon) hunting around Christmas. How is the Gulf fishing then? Or around Thanksgiving? What are you catching offshore around the end of the year? I would like to try fishing in the Gulf sometime. Tuna and wahoo in the winter. A lot depends on weather (the wind) at that time of year. We made some great hauls in Nov and Dec this year. I caught a couple of limits (3 per person) of yellowfin tuna during that time . . . those were 6 man limits and we were done quick! Keep killing all giants and 2c will have a size limit on our charter hali..
You Gustavus guides are killing the GHL here in SE! You need to change your ways or none of us will be able to guide for halibut anymore. With all due respect, check the facts. There are only a handful of boats in Gustavus. You really think that affects GHL ? If you want to fight, fight the good fight my man. The Sitka commercial fisherman pushed the moratorium through, it had nothing to do with me killing giants (although I did kill more than most). P.S. I don't just kill giants in Alaska, I kill Giant tuna and wahoo all winter. I am a professional fishing guide year round. If you want to talk about it (and I had a lot of personal time talking with the "upper crust" at NOAA/NMFS) you can call me at 907-321-9668. Lets talk numbers. The numbers NEVER lie. The GHL (guideline harvest level) for 2008 in 2c for charters was 931,000 pounds. (For those that don't know areas, the Entire SE Alaska is 2c, despite it being a huge area. The total take for your area, with not many charters, was 797,801 pounds. Those are the facts, taken off of NOAA website. http://www.fakr.noaa.gov/npfmc/current_ ... ata909.pdf Your area almost caught the entire GHL. I don't have the numbers for the 2009 season on hand, but they weren't much better! As you can see on the NOAA site, the 2c charter fleet is way over it's GHL. I've watched it go from 2 halibut a day, to 1 halibut any size/1 under 32", to 1 halibut any size. In the next few years, once Catch Sharing is implemented, you can bet charters will have a size restriction for it's 1 halibut. So, the charters can cut back now, or really get cut back here in a few years. The 2c charter fleet needs to collectively decide to keep smaller halibut, and to release the bigger ones, that breed. The fleet on POW does that. As you can see, we have a 9lb average for halibut, and a very robust charter fleet. Sitka has a huge charter fleet, and they have around 200k less pounds than your area. It would be nice to kill the giants. It's good for business and attracts a certain kind of fishermen. But, to stay in business, we have to cut back and release those big ones. You can still catch the big fish, just cut em loose! welder wrote: Fish Alaska Charters is your premier Alaskan fishing expedition provider. Based out of the small, remote "city" of Gustavus, Alaska, we are extremely fortunate to fish in a low pressure environment. Low fishing pressure and ideal habitat means that we grow our barn door halibut BIG. 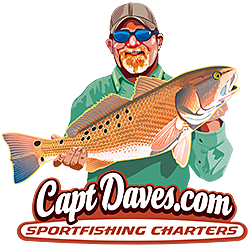 So, if you want your best shot at a 200, 300, or even 400+ pound fish of a lifetime, give us a try! The all-tackle world record is currently 459 lbs, we plan on changing that! I was thinking the same as Jrogers? Hey, what's MA stand for? Maine or Mass? The ""La."" stuff cracked me up. Over and out from ""FL"", oh crap, everyone knows that one!